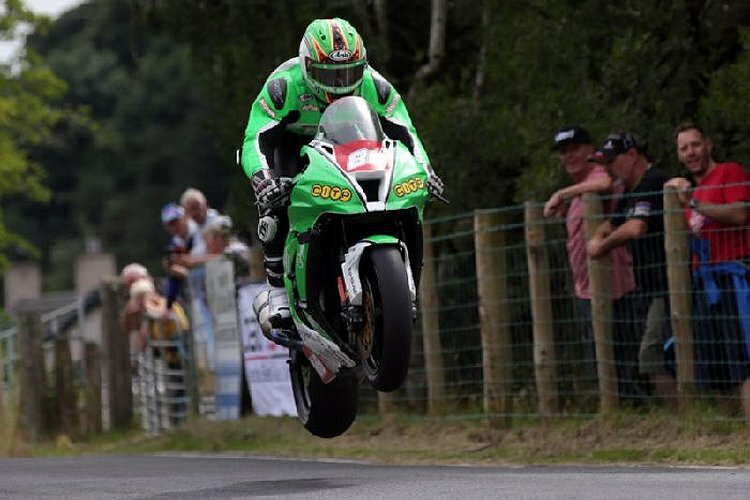 The KDM Hire Cookstown 100 lifts the curtain on the 2019 Irish national road racing season from April 26-27. A packed programme is scheduled for the main Saturday race day, although the Open Superbike race will take place for the first time following Friday qualifying. Roads close for qualifying from 12 noon on Friday and from 10am for racing on Saturday. 1: Senior Support B - The Saturday race schedule at the KDM Hire Cookstown 100 on April 27 will get underway with the Senior Support B race. 2: Moto3/125GP - The Moto3/125GP race is the second event on the programme. 3: Supersport 600 A - The Supersport A race features many of Irish road racing's top names, including Magherafelt man Paul Jordan. 5: Junior Classic - The Junior Classic race is the fifth race on the Saturday schedule. 6: Supertwin A - The Supertwin machines usually produce close racing. 7: Supertwin B - The KDM Hire Cookstown 100 was officially launched on April 8. 8: Senior Classic - Guy Martin holds a provisional entry for the Senior Classic race at the Cookstown 100. 9: Senior Support A - The Senior Support A race will be Race 9 on the programme. The race was abandoned last year after a second red flag incident. No riders were seriously injured. 10: Lightweight 400 A - The Lightweight 400 A race will take place before the feature Cookstown 100 Superbike race. 11: Cookstown 100 Superbike - The feature Cookstown 100 race was cancelled in 2018. Earlier, Derek Sheils won the Open Superbike race from Michael Dunlop and Michael Sweeney. 12: Cookstown 100 B - The final race of the programme will be the KDM Hire Cookstown 100 B race. Dublin rider Derek Sheils will start as the favourite for the overall honours in the Cookstown 100 A race.